Subscribe to get deals from hundreds of merchants including the best of Avis! Up to 10% off in Singapore and participating locations worldwide. Avis Worldwide Discount (AWD) number: M504800. Booking Period: Till 31 July 2019. Discounts available at all participating Avis locations worldwide. Payment must be made with UOB Credit Cards. Promotion period is from 25 July 2017 to 31 July 2019. Offers or/and discounts shall be available to purchases made with UOB Credit Cards. Not valid with other offers and promotions. Prior reservation is required to enjoy the offer. For bookings and reservations, please call 1800 737 1668 or email reservations@avis.com.sg. To enjoy the offer, quote Avis Worldwide Discount (AWD) number M504800. Valid on all car groups. Minimum car rental of 4 days is required. Advanced booking of 24 hours prior to rental date is required. Blackout periods apply. Avis Car Rental standard terms and conditions apply.. Please always check with the merchant on the validity of the promotion before purchase. Discounts available at all participating Avis locations worldwide. Payment must be made with UOB Credit Cards. Promotion period is from 25 July 2017 to 31 July 2019. Offers or/and discounts shall be available to purchases made with UOB Credit Cards. Not valid with other offers and promotions. Prior reservation is required to enjoy the offer. For bookings and reservations, please call 1800 737 1668 or email reservations@avis.com.sg. To enjoy the offer, quote Avis Worldwide Discount (AWD) number M504800. Valid on all car groups. Minimum car rental of 4 days is required. Advanced booking of 24 hours prior to rental date is required. Blackout periods apply. Avis Car Rental standard terms and conditions apply. 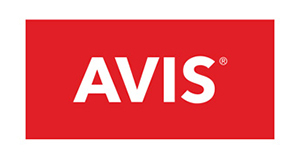 Save up to 35% on international car rental and get the fastest check out with Avis Preferred. General Conditions:. All rentals must be booked and taken within the promotion dates.. Offer not valid on domestic rentals (where country of residence is the same as country of rental).. To participate, cardholders need to book using their Visa cards through the Avis website at www.avisworld.com/visa.. If the cardholder is booking through any other channel (i.e. not through the Avis World website), they must quote a AWD (Avis World Discount) code when prompted. For Visa Signature & Visa Infinite cardholders, use “N074700”, for Visa Platinum cardholders, use “N069500”, for Visa Gold cardholders, use “N144300”.. All bookings must be completed 24 hours in advance of arrival.. Discounts will be applied at point of reservation and will apply to the time, mileage and insurance portion of the rental.. Discounts are subject to availability and may not always be available at all locations at all times.. Discount cannot be applied to ancillary products, purchasable at the counter.. Avis Preferred promotion is not applicable to residents from Australia and New Zealand.. Visa cardholders must present their valid, eligible Visa card, used at time of booking, together with a valid and acceptable driver's license when arriving at the Avis desk to pick up their vehicle.. Please visit www.avisworld.com/visa for full terms and conditions.. No other alternative method of payment will be accepted for this offer.. The promotion cannot be combined with any other offer, sale promotion, or prior purchase/reservation.. Any booking made under this promotion is subject to the Avis Rental Agreement and related terms and conditions, as amended from time to time. Any such booking is between the cardholder and Avis.. To the extent permitted by law, the Promoter reserves the right to change the terms and conditions for this promotion without any notice.. Discount is subject to availability. Discounts may not always be available at all locations at all times.. Visa will use best efforts to ensure the offers are provided as described, but cardholders shall not make any claim or seek compensation against Visa, even in the event that any of the offers are not provided or provided as described (whether or not such non provision is due to fault, negligence on the part of Avis or Visa).. Visa shall not be liable in any manner whatsoever or howsoever for any loss or damage or claims that may arise out of (a) usage or attempted usage of any of the offers, or of any services provided by Avis, or (b) any refusal or failure on the part of Avis to provide or honour any of the offers, or benefits or privileges given under the offers, for any reason whatsoever.. Visa reserves the absolute right to withdraw and / or alter any of the terms and conditions of any of the offers at any time without giving any notice.. Reservations:. Book online at www.avisworld.com/visa to automatically receive your discounts or join Avis Preferred status.. Cancellation and Charges:. To cancel or change a reservation online, select "Manage Booking" in the navigation and then modified, or cancelled online by providing a confirmation number and the last name referenced on the reservation.. To give the station sufficient notice of any changes to the rental, Visa cardholder needs to give at least 12 hours’ notice. If the cardholder needs to make a change to a booking later than this, please contact the station the cardholder is renting from who may or may not be able to change the booking.. Please always check with the merchant on the validity of the promotion before purchase.